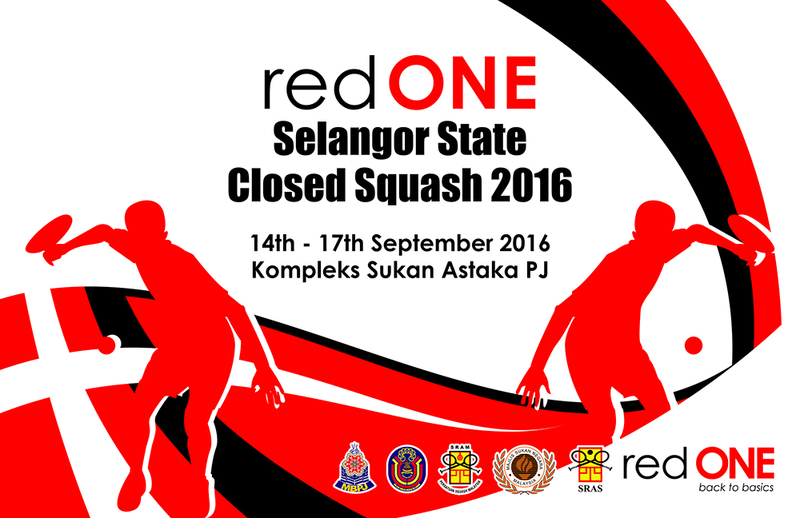 This coming September 14th, the Squash Racquet Association of Selangor (SRAS) will be hosting the redONE Selangor State Closed Squash Championship 2016. The championship will see around 200 of Selangor’s best Junior squash players compete for medals and cash prizes in the Under-9 / 11 / 13 / 15 / 17 & 19 age categories. Taking place at the Astaka Sports Complex in Petaling Jaya, the championship will be held over three days from September 14th to 16th. Over the years, the Selangor junior squash system has developed some of Malaysia’s best squash players. This annual State Closed tournament has proven to be a good platform for them to gain competitive experience and improve their skills and abilities. The tournament’s main sponsor, redONE, is committed to developing Malaysian sports and fostering world class talent. Together with Majlis Bandaraya Petaling Jaya (MBPJ), SRAS welcomes any spectators who wish to catch the action and support Selangor squash. Player registration begins at 7:30am on Wednesday, September 14th. The final matches will be played on Friday with the awards dinner to be held on Saturday Sep 17th. For more information, please visit www.theselangorsquash.com or email SRAS at theselangorsquash@gmail.com. The Squash Racquet Association of Selangor (SRAS) or Persatuan Skuasy Selangor, is the official state association tasked with promoting and popularising squash amongst Selangorians. SRAS identifies, assists, trains and nurtures aspiring squash players from all over Selangor for the advancement of the individual, state and sport.